WE STRONGLY RECOMMEND OUR VISITORS TO FLY TO CULEBRA INSTEAD OF THE FERRY. 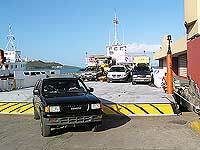 THIS IS THE FASTEST AND SIMPLEST WAY TO GET TO CULEBRA. Unless you can buy the ferry boat tickets online ahead of time, we strongly suggest that you take the plane as opposed to the boat to get on time for check in. 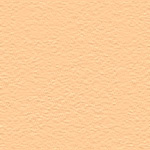 Below we provide contact and other information for the local airlines. 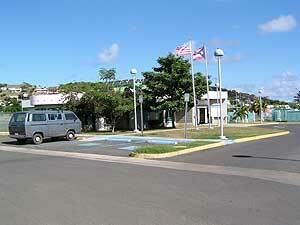 Guests coming from abroad would typically arrive at the San Juan International Airport (SJU). Most of the flights from San Juan to Culebra (CPX) depart from the smaller Isla Grande Airport (SIG), which is a 15-20 minute taxi ride from San Juan International Airport (SJU). 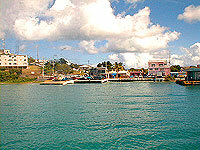 The flight from San Juan takes about 35 minutes to Culebra (CPX). The flight from Ceiba to Culebra takes about 12 minutes. Flights between San Juan and Culebra vary from about $90 pp each way and between Ceiba and Culebra $50 pp each way. Airlines charge for overweight luggage. You may check details with them. ......AIR CHARTERS........ Chartered flights, timed more at your convenience, are another option. If your group has 5 people, the per person cost could be about the same as in a scheduled flight. ONCE YOU ARE IN CULEBRA, HOW DO YOU GET TO THE RENTAL APARTMENT AT TAMARINDO ESTATES? FROM THE CULEBRA FERRY DOCK keep driving on main street (Rd. #250) towards the airport. FROM THE AIRPORT location drive or take a taxi to Tamarindo Estates, 7 to 10 minutes. From the airport, stay on Rd #251 North for about 1.3 miles; at Km. 2.2 (by the yellow house) turn left into Tamarindo road till the very end (about 3/4 mile). At the circle on TAMARINDO ESTATES BEACH APTS., walk to the office building and follow the posted instructions for check in. RENTAL CARS: Both Jerry’s Jeep Rental and Carlos Jeeps have their service booths at the airport terminal, where you can arrange to rent or pick up a car. FLYING FROM THE UNITED STATES TO SAN JUAN, PUERTO RICO: For people coming from abroad, the easiest way to reach Culebra is via San Juan, Puerto Rico. The flight from New York to San Juan takes 3 1/2 hours; from Miami to San Juan it's 1 1/2 hours. WE RECOMMEND OUR VISITORS TO FLY TO CULEBRA FROM THE MAINLAND PUERTO RICO. San Juan International Airport (SJU) is served from the U.S. Mainland by American Airlines, Delta, US Airways, Continental, Northwest, Spirit Air, and United. From the rest of the world, San Juan (SJU) Airport is served by Air Canada Vacations, Canadian Airlines, British Airways, Lufthansa's partner Condor, Copa Airlines, and LACSA-Group Taca. FLYING FROM SAN JUAN TO CULEBRA: There are basically two ways of travelling from the 'Big Island' of Puerto Rico to Culebra. You can either take an airplane or take the passenger boat. Flying to Culebra is usually the most hassle free option, and in 35 minutes you can get from San Juan to Culebra. Flying in from San Juan to Culebra is in most cases the only way to be able to check in into your hotel the same day of your flight from abroad. There are several daily flights arriving in Culebra from San Juan Isla Grande Airport (SIG) on Vieques Air Link (787-722-3736) and Air Flamenco (787-724-6464). You may also consider chartering a plane to expedite your arrival. Below is a list of chartering operators. Cost of boat vs. flying in: If you are coming to Culebra from San Juan, whether the boat or airplane is less expensive would depend on the number of people in your party. The boat trip between Ceiba and Culebra costs $2.25 each way, and the San Juan-Ceiba taxi costs about $80 each way. If you are a party of one person, flying in would be cheaper by about $22.25 ($60 for plane vs. $82.25 for the taxi + boat.) For a party of two people, the plane would cost $35.50 more ($120 for the plane less $84.50 for the taxi and boat.) At the time of this writing, the boat fare ($2.25) and schedule are being revised. There is talk of about $11.25 each way. However, if you are flying in from abroad and want to take the passenger boat to Culebra to check-in at Tamarindo Estates that same day, you would need to land into San Juan not later than 12:30 PM. This would normally allow sufficient time to get your luggage and then the taxi to the Ceiba ferry dock. The last boat you may take and still be able to check in at the hotel departs Ceiba at 3:00 PM. The boat schedule is being revised at the time of this writing. The fare for the boat service between Ceiba and Culebra is very inexpensive, only $2.25 per person; it is under revision and will most likely increase to about $11.00 each way. The taxi fare between San Juan and Ceiba is about $90 each way. THERE IS A NEW CULEBRA PASSENGER FERRY BOAT OPERATOR. United, phone 800-538-2929, flies from Chicago, New York, and Washington, D.C.
We recommend that you do not rent a car on main island to take on the cargo ferry to Culebra. The bookings on the cargo ferry are very limited, insurance may not cover if you take car on the ferry, and you would not be able to get roadside assistance on Culebra from the rental company. It is highly recommended that you first get to Culebra and rent a car from the local companies in Culebra. 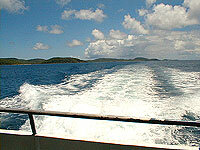 Voyage between Ceiba and Culebra on the fast passenger ferry is about 45 minutes, on the slow ferry, about 1 1/2 hr. Schedules are subject to change and should be verified ahead of time. Passenger fare: $2.25 (under review) per person. For vehicle and cargo fares, call the Puerto Rico Maritime Authority. These schedules are subject to change and should be verified ahead of time with the proper authorities. 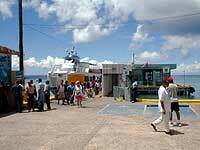 If you happen to miss the passenger ferry at Ceiba, an alternative is to fly from the nearby Ceiba airport. 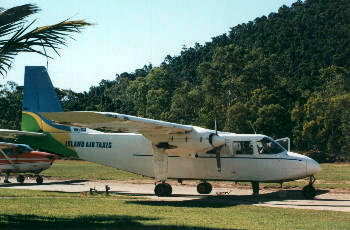 Vieques Air Link and Air Flamenco fly between Ceiba and Culebra. It is a good idea to carry with you the local airlines' phone numbers. Sometimes ticket may be purchased in advance from the Maritime Authority. You may try 800-981-2005, 787-863-0705 or 787-863-0852, or the Culebra office at 787-742-3161. They limit the time they answer the phone for reservations. Call after a ferry leaves and when they are not so busy. For passengers arriving at the Luis Muñoz Marín International Airport (SJU) in San Juan, taking a taxi is the best way to Ceiba. Taxis are easily available as you exit the airport. Allow 2 hours in normal traffic for the taxi drive from San Juan. The typical taxi charge is about $90.